Thanks to the ol’ reliable Mongolian pony express, we haven’t heard of anyone receiving one of these. We worked hard on them and were excited to get them to you! Please LET US KNOW if yours has turned up! **UPDATE: Postcards have arrived! 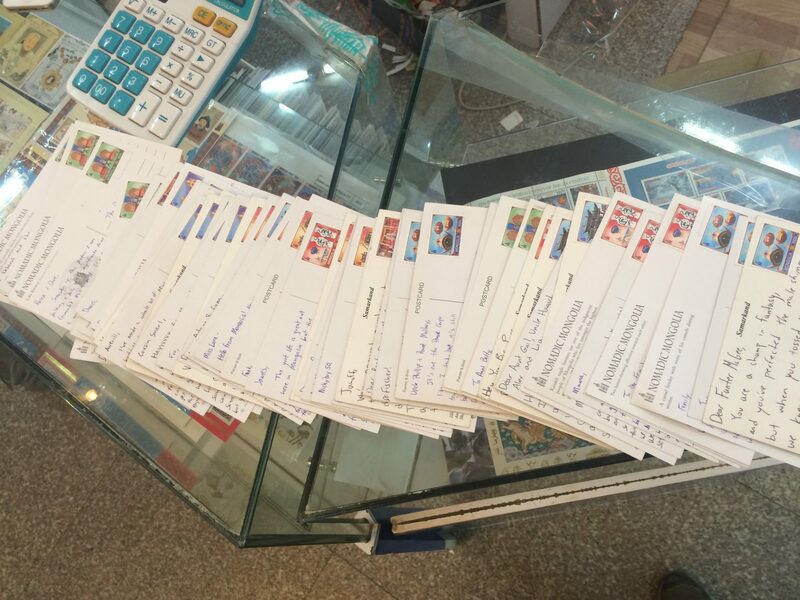 Long after we had completely given up on them, postcards began trickling in to the homes of our friends and families around the US in the last week of January. 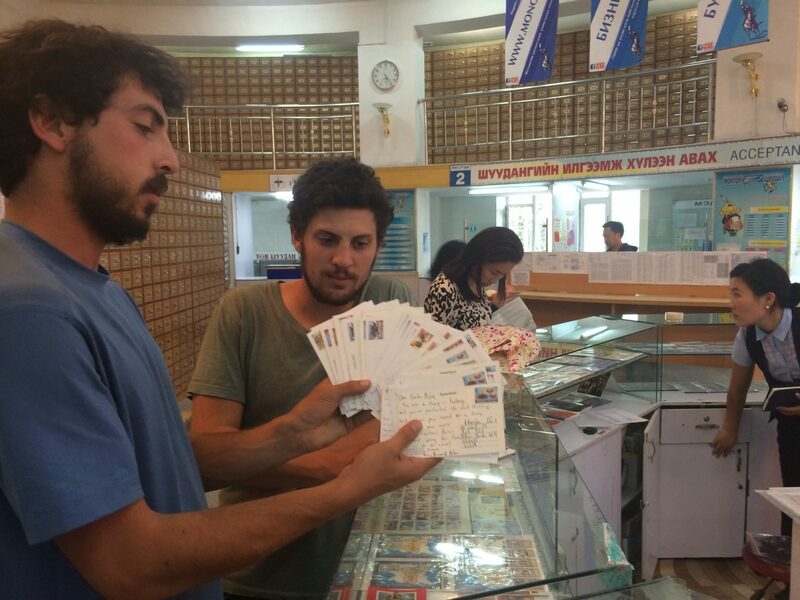 So there’s your answer – it takes about 4.5 months for a postcard to get from Ulan Bataar to the USA! We would kill to see what happened in the life of those postcards for 4.5 months, but that shall remain a mystery for now. All we can say is – we told you they were on their way! 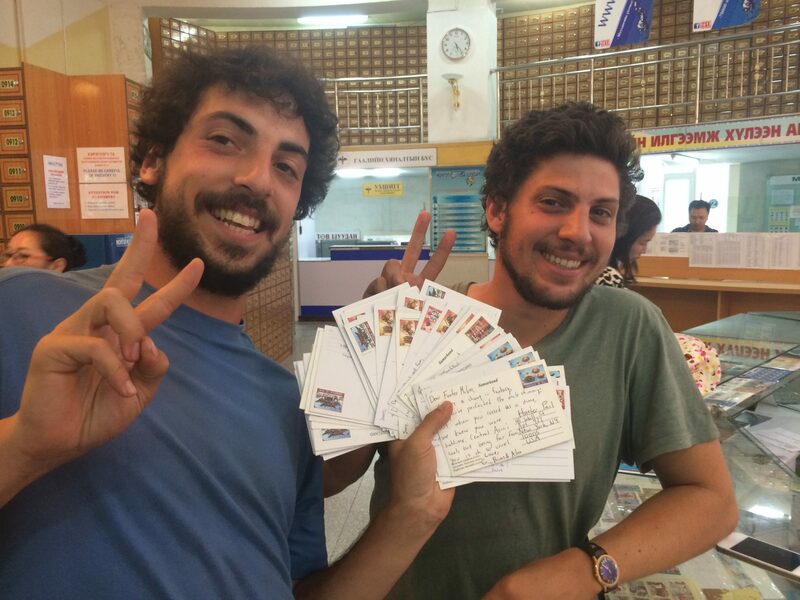 This entry was posted in Mongol Rally 2014 and tagged fundraising.